is proactive legal action that protects your assets from threats such as creditors, divorce, lawsuits and judgments. Ask questions about asset protection from lawsuits. If consultants are busy, please call again. Nobody wants to believe that their marriage will not work. However, the unfortunate reality is that many marriages end in divorce these days. According to the American Psychological Association, “about 40% to 50% of married couples in the United States divorce.” This statistic is simply to high to ignore. the U.S. Census Bureau states that 60% of second marriages end in divorce and 73% of third marriages. For wealthy individuals, preparing for the possibility of divorce is an essential part of asset protection planning. Here is a graph that illustrates the ages when most people divorce. The American Psychological Association states that in Western society that more than 90% of people marry by age 50. In the United States, in particular, there is about one divorce every 36 seconds. The average time that a marriage lasts that ends in divorce is eight years. On average, the age of a first divorce is 30 years. A whopping 69% of mothers that do not have custody of the children receive support. Only 29% of fathers receive support. With the backdrop of those statistics, let’s look at the laws in various states, how to protect assets in divorce, and some legal tools one can use to shield assets. 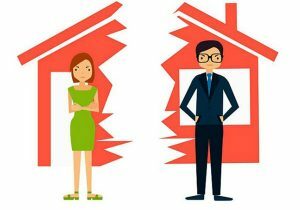 Common law property states and community property states have different laws regarding how a divorce court divides assets in the event of divorce. Here are ways that different states categorize property ownership. The majority of states are common law property states. Common law states consider that property one spouse acquired during marriage is the sole property of that spouse. Common law states categorize joint property as property which the married couple purchased jointly and titled in both of their names. Each spouse owns half of the joint property in common law states. Courts determine the division of property under common law. Common law distributes property equitably rather than equally. Courts do this in order to ensure that it compensates both parties fairly for what they put into the marriage. Arizona, California, Idaho, Louisiana, Nevada, New Mexico, Texas, Washington, and Wisconsin are community property states. Property can take on three different forms in these states: community property, separate property, and quasi community property. We call property which both of the spouses own together community property. Only married people can own community property. Another requirement is that a couple is domiciled in a community property state. The statutes consider all different types of property as community property under the laws of these states. It considers property located anywhere in the world as community property. Either or both of the spouses may control community property. Both spouses have equal interest in the property concurrently. One spouse’s creditors have the ability to reach all of the community property owned by both parties. Debts and obligations which either spouse incurred prior to or during the marriage have the ability to affect community property. Separate property is property which one individual spouse acquired before they married one another. The law also considers property which one spouse received as a gift or inheritance as separate property. Married couples have the ability to deem certain property as separate property. Separate property of one spouse is immune to the claims of the creditors of the other spouse. Quasi-community property is the third type of property in community property states. The statutes also consider property as quasi-community property if the law would have called it community property had they acquired it in a community property state. Legal minds also consider real and personal property as quasi-community property. They also consider quasi-community property in community property states which observe community property law regarding liability. The state that a couple lives in determines how the court will divide assets between the couple in a divorce. However, it is the jurisdiction of the asset protection tools which determine whether or not a disgruntled former spouse is able to seize assets. Asset protection laws, particularly regarding divorce, vary widely between jurisdictions. Most asset protection experts commonly regard offshore jurisdictions as preferable to domestic jurisdictions in the event of divorce. The strongest asset protection tool for divorce is the asset protection trust. 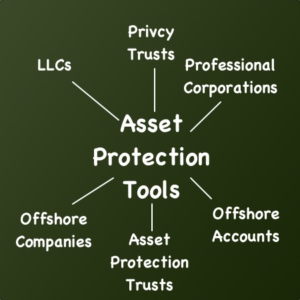 The strongest asset protection trust are offshore, located beyond the reaches of the local courts. The main advantage of offshore jurisdictions over domestic asset protection jurisdictions has to do with fraudulent transfer claims. Fraudulent transfer occurs when one transfers assets with the specific and pre-meditated intent of defrauding creditors. Creditors can include former spouses during and after divorce. Fraudulent transfer occurs in divorce cases when one spouse transfers assets immediately before one of them files for divorce. Assets transfers when divorce is reasonably imminent can also cause fraudulent transfer claims. Additionally, the majority of favorable offshore jurisdictions do not recognize foreign judgements. Former spouses must initiate a re-adjudication of the case in the jurisdiction where the other spouse holds the trust in order to make a claim. Going to trial in a foreign country is so expensive and time-consuming enough that it usually discourages former spouses from making claims. The burden of proof for fraudulent transfer claims in most domestic jurisdictions is clear and convincing evidence. This is much lower than the burden of proof in many favorable offshore jurisdictions. Some offshore jurisdictions, including the Cook Islands and Nevis, have a burden of proof which is beyond a reasonable doubt. Asset protection trusts are one of the strongest legal vehicles for asset protection during and after divorce proceedings. Generally speaking, asset protection trusts are irrevocable self-settled spendthrift trusts. We refer to these trusts as asset protection trusts because they allow the settlor of the trust to protect his or her own assets. Many other types of trusts may only be used to protect assets which will be gifted to beneficiaries. Asset protection trusts can be effective in cases of divorce. This is a result of the fact that the settlor does not have control over trust distributions. The power to make distributions of trust assets is reserved for the trustee. 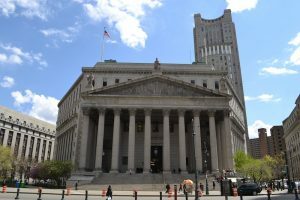 In many favorable jurisdictions, the law bars trustees from making distributions of assets when it is reasonable to assume that the courts will order seizure of the trust’s assets. If there were a judgment against the settlor of a trust which would allow a former spouse to seize the assets, the trustee will not make a distributions. As a result, it protects the assets from the claims of a former spouse. As mentioned previously, offshore asset protection jurisdictions are generally preferable to domestic jurisdictions. One major reason for this is that most states in the US view divorcing or former spouses as exception creditors. Domestic asset protection trusts are not effective in protecting assets from divorce in the majority of states that offer them. The only state which does not consider divorcing and former spouses to be exception creditors is Nevada. Limited liability companies are separate legal entities from their owners. There are legal previsions such that they not subject to the claims of their owner’s creditors. Part of this is because the law considers these tools as legally separate from their owners. A bigger part of this is the charging order protection. That is, the statutes in many jurisdictions state someone suing a member of an LLC cannot readily take the company nor the assets inside. Thus, personal creditors of the owner are unable to make claims against assets held by the business. If a business entity owns the assets rather than an individual, such ownership can immunize them from claims a former spouse makes during or after a divorce. In addition, owner’s personal assets are relatively safe, in most cases, from the debts, obligations and claims against the business. It is important, however, that one does not use these assets like personal assets. Courts can order the seizure of assets that one uses business assets like one uses like personal assets in the same way they can order the seizure of other personal assets. Prenuptial agreements are legal agreements which people enter into before marriage. The law refers to agreements made after a couple is married as postnuptial agreements. Courts may use these agreements to pre-determine the division of assets if a couple chooses to divorce. The problem is that only 3% of those who are married are planning on getting married have a prenup. 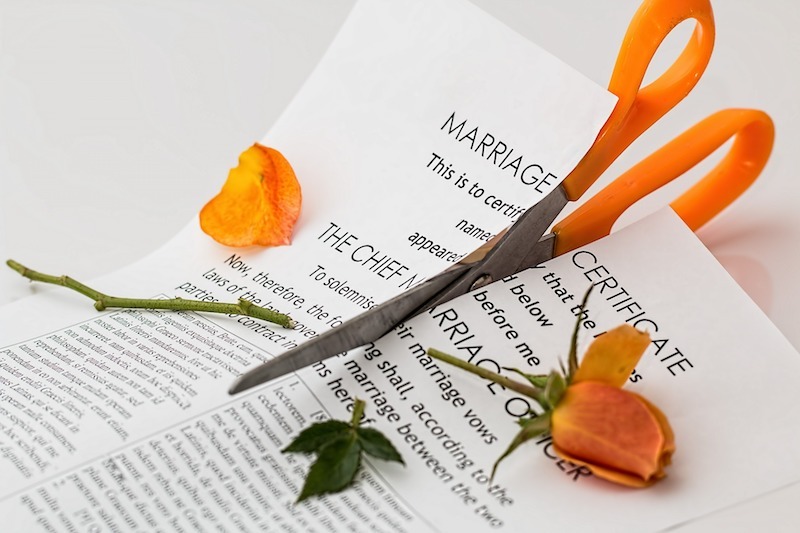 Part of the reason for this is that 62% of those surveyed recently revealed that they feel a request for a prenuptial agreement sends a negative message to the on who has not asked for one. Moreover, 63% of them think that a prenup would put them at a greater risk of divorce. The majority of states require that prenuptial and postnuptial agreements be made in writing. In order the law to consider the pre-divorce planning agreement as valid, both parties must enter into the agreement voluntarily. The downside to prenuptial and postnuptial agreements is that they may not provide adequate asset protection in divorce. This is because they are usually entered into while the relationship between the couple is happy. An overly rosy outlook can cause individuals to enter into agreements which may be too generous or not represent their legal best interest. Former spouses commonly challenge prenuptial and postnuptial agreements. A former spouse generally must prove that the agreement was made as the result of undue influence and/or misrepresentation in order to have it set aside. Courts consider several factors with regards to setting aside a prenuptial or postnuptial agreement. Extreme disparities between the parties in age or knowledge are among these factors. They also include lack of adequate counsel and vulnerabilities created by mitigating circumstances like poverty, pregnancy, or illness. Prenuptial and postnuptial agreements can be useful tools for asset protection planning. However, they certainly are not 100% effective in all circumstances. It is always advisable to combine prenuptial and postnuptial agreements with other asset protection structures, like those described above. The main advantage of getting a prenuptial and postnuptial advantage in addition to using other asset protection structures has to do with real estate. Real estate is always subject to the law of the jurisdiction where it is located. As a result, holding real estate in a trust or limited liability business entity may not be effective to protect it in the event of divorce. Having a prenuptial or postnuptial agreement which determines the division of any real property that a couple owns can be beneficial in this regard.